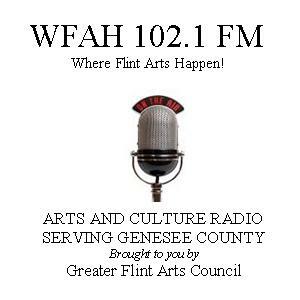 Greater Flint Arts Council is celebrating community arts and culture with our new public radio station, WFAH 102.1 LPFM. Tune in for great music and conversations about the importance of arts and culture in our community. Stay tuned for the months and years ahead as we add programs showcasing the abundance of arts and culture in the greater Flint region.